A nuanced story of one girl's coming of age set against decades of political ferment in Cairo, Egypt. Chronicle of a Last Summer is a nuanced coming-of-age story set in politically charged Cairo. Opening in 1984, Yasmine El Rashidi's novel focuses on a young girl whose father has just left. Her Baba's disappearance sparks the first of her many questions: Why did he leave, where did he go, will he come back? This insistent curiosity moves Chronicle of a Last Summer across three decades of Cairo's history, as the girl's questioning continues through her college studies and then her work as a writer. As she grows up, so, too, does the city, moving toward a new kind of revolution in the 21st century even as the memories of 1919 and 1952 uprisings still press upon its population. "It was the legacy my generation would inherit, one of destruction and loss." But revolution is also what ties the Egypt the girl knows to the Egypt of history: "revolution has connected us to a past that preceded us." 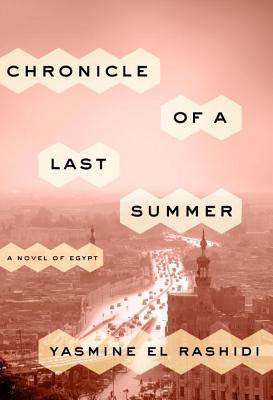 El Rashidi (The Battle for Egypt) writes without concern for detail: the girl of Chronicle of a Last Summer is never named, for instance, and much of her story is told in roundabout ways. But that ultimately makes the novel all the more powerful; because of the lack of concrete detail, its observations feel universal, even as they are rooted in the particular time and place of this period in Egyptian history. Ultimately, Chronicle of a Last Summer is a potent and moving novel of growing up in riptides of political revolution.